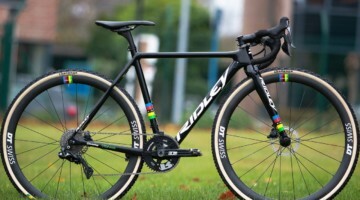 Milton Keynes, UK – At the 2015 IceBike, our European contributor, Philip Ingham, was able to capture the newest Ridley cyclocross lineup for their 2016 models. Immediately apparent is the lack of cantilever brake models as Ridley will only be offering disc builds. Also of note, there is an expansion of the X-Night model as well as the elimination of the X-Fire brand. 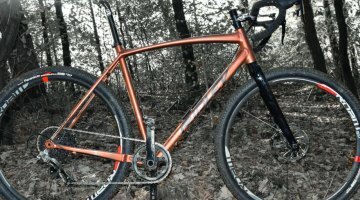 Last summer, we took a first look at the 2015 Ridley X-Night SL, which was a superlight branded bike through an intricate component selection, but with the same carbon modulus of the other X-Night frames. 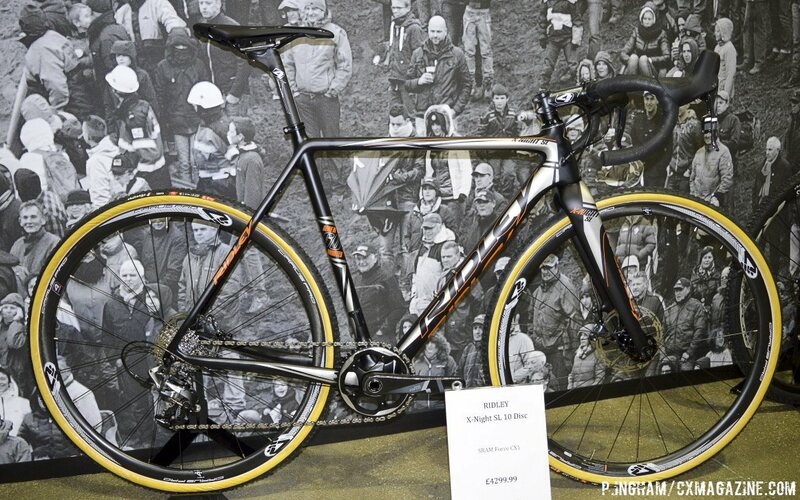 This year, Ridley is furthering the distinction between the X-Night and X-Night SL models. 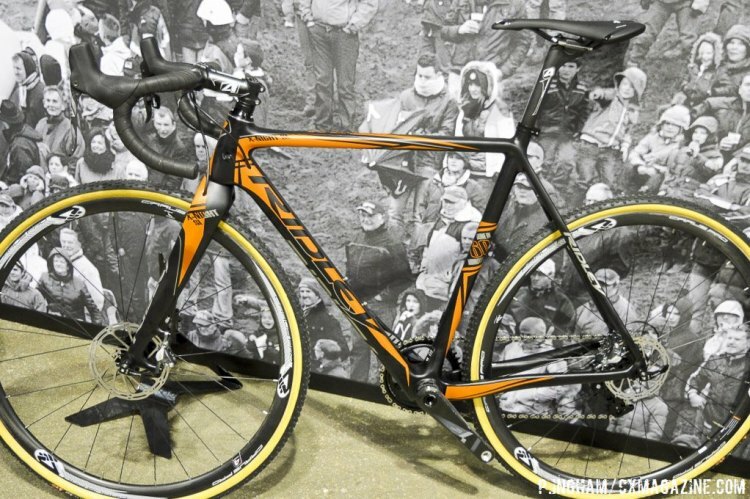 The latter will retain the highest level carbon grade of the cyclocross bikes, while the X-Nights will have the second-tier carbon grade. The initial reports have the X-Night models sitting between 150g and 170g heaver than the SL models. It should be noted that this isn’t simply the case of the X-Night models supplanting the old X-Fire counterparts. 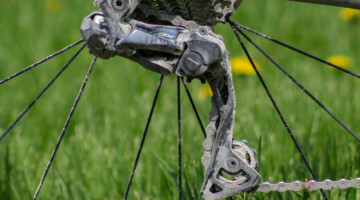 While the carbon layup will be different between the X-Night and X-Night SL, the molds used for both will be the same, whereas the geometry of the older X-Fire was completely different than that of the X-Night for the 2015 models. 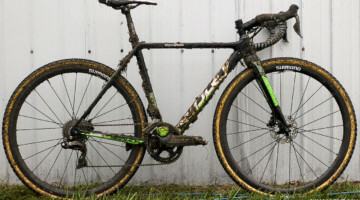 We also have a first look at Ridley’s alloy cyclocross models: The X-Ride and the X-Bow. 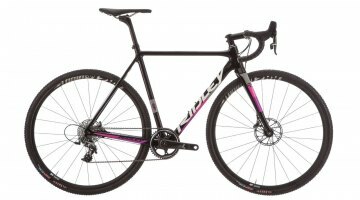 We have included the specifications and pricing for each model. Please note that the figures translated to dollars is for purposes of comparison to how these will be priced in the United Kingdom, and will not reflect the shipping costs and marketing in North America. The models are not yet finalized. 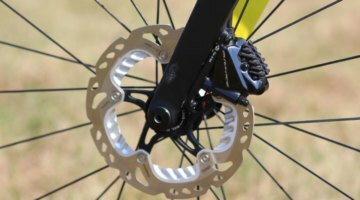 Reports are also coming in of development of an Oryx thru-axle prototype fork that has a summer release date and may be included in on some of the 2016 models as shown below. Although the models were showcased with quick release forks, Ridley provided spec sheets where bikes the various Oryx TA models are slotted to have the new thru-axle systems.